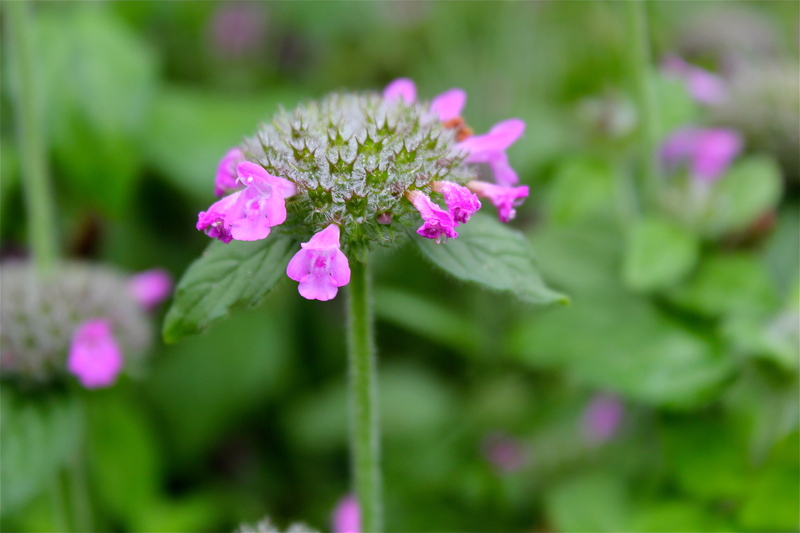 Wild basil is a hairy mint with pointed oval leaves and clusters of pink to purple flowers. The clusters are stacked on an erect, 4-sided stem that is distinctly wooly. Morning dew will delight your eye as it glistens on the dried clusters long after the flowers fade. See the gallery below. This plant reaches heights of 1- 1 1/2 ft. and grows along roadsides and in fields June through September. Looks like basil right? But with pink flowers that are stacked in tiers. I have found this plant in abundance in late July on the Western Slope Trails of Massanutten resort.